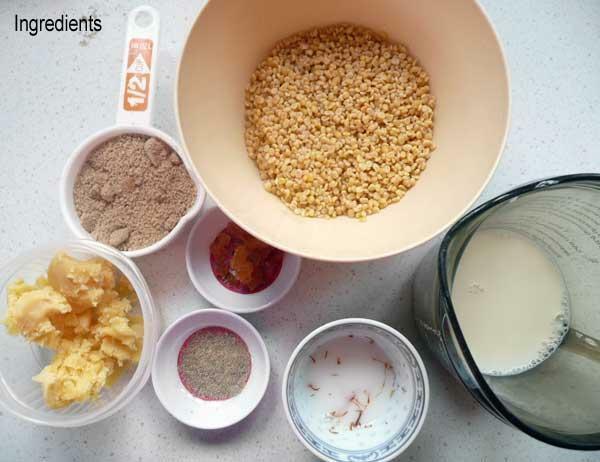 Soak moong dal for 4-5 hours. 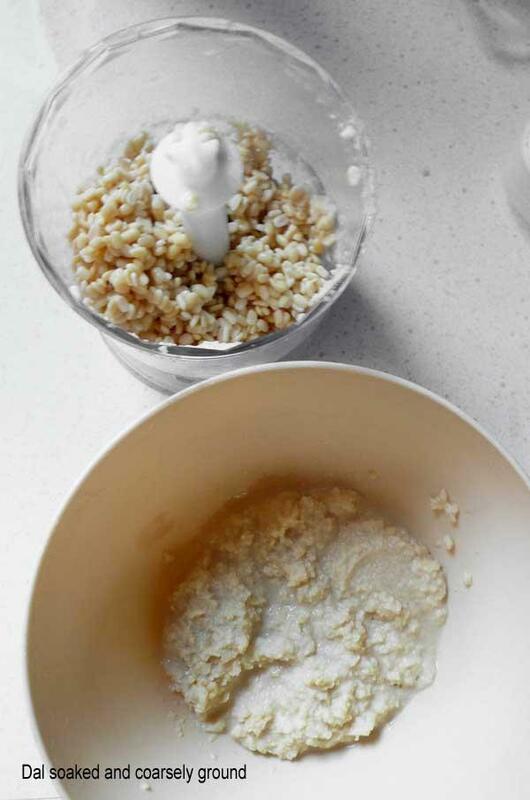 Rinse, drain and grind coarsely, with as little water as possible, so that it is like a paste, not liquid. 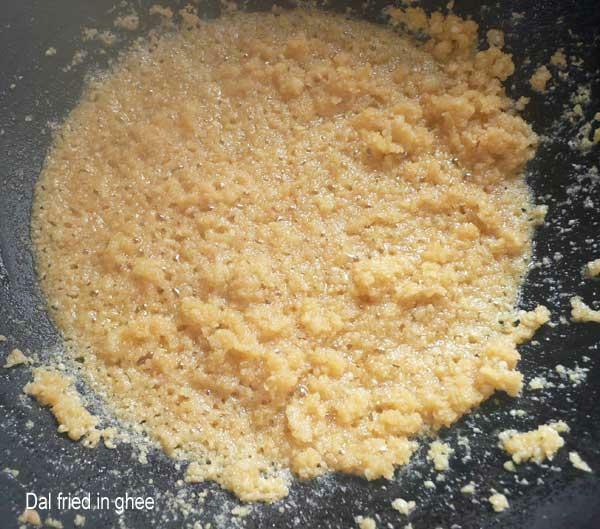 Heat ghee in a heavy bottomed pan or wok. Non-stick is better. When melted, add the dal paste and stir-fry until the water is evaporated. The dal starts to turn light brown and there is a nice aroma of 'roasting' dal. Add milk, sugar, cardamom powder, saffron in milk , raisins and 2/3rd of the chopped nuts, saving a few chopped nuts for garnish. 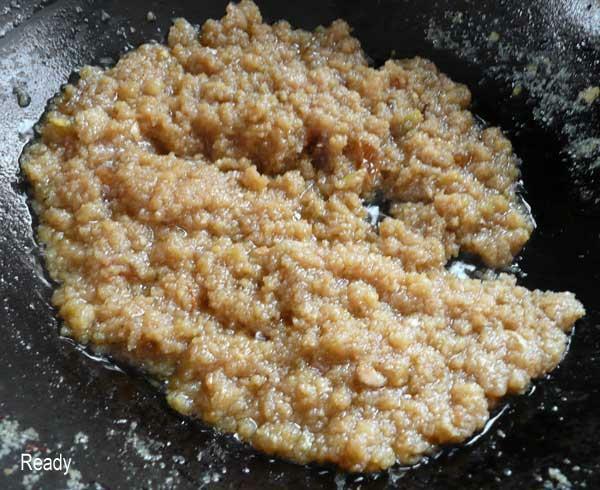 Keep stir-frying until the mixture is thickened and begins to 'come off' the edges of the pan. Garnish with saved nuts and serve hot. 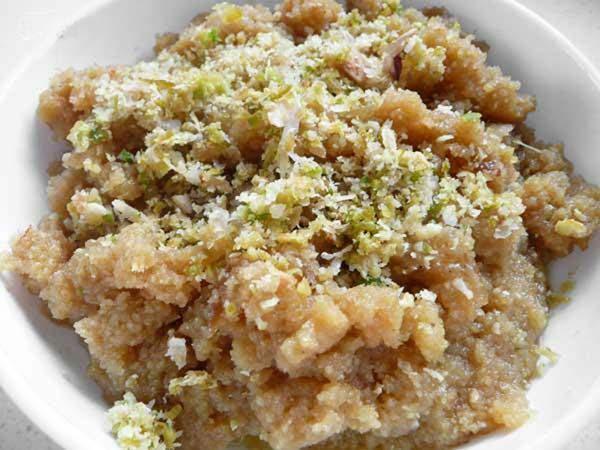 Hot halwa tastes excellent with vanilla ice-cream.